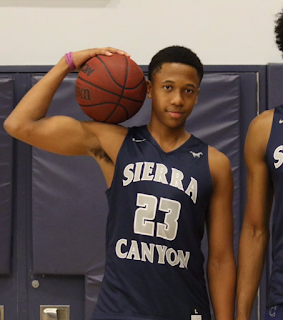 The younger brother of Marvin, Marcus Bagley shows a lot of promise and will likely follow in his brother's footsteps as a top recruit and potential high draft pick. He's a big time athlete with unlimited upside who has the work ethic to be great and the basketball bloodlines of a future star. Marcus already stands 6-6, with long arms and a solid build. His athletic ability alone makes him a potential draft pick but he's also got an advanced offensive game with a sweet shooting stroke. Bagley is an excellent spot up shooter and can get his own shot off the dribble as well. His shot-making ability is really impressive given his size and youth. Although Marcus's all around game is still somewhat raw he shows a lot of promise as a big wing who can score, defend and rebound the ball. 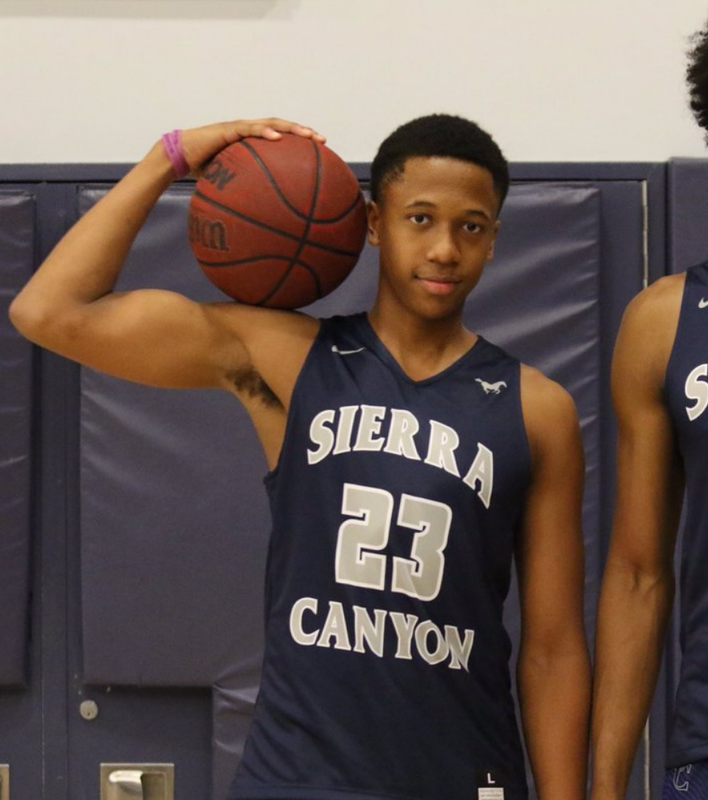 He's a load to handle in the transition game and, as he tightens up his handles and improves his coordination, he'll likely become a terror on the high school level. He changes ends in a blink of an eye (like Marvin) and his transition game is strong. He plays with good energy and doesn't take plays off. He's a strong defender and his transition defense is especially impressive. He shows very good defensive instincts, reading the play, disrupting passes with his long arms and challenging shots at the rim. He can guard multiple positions and should develop into a true defensive stopper. He's got a big build and solid frame. If he grows another couple of inches watch out! Marcus doesn't have an obvious weakness. Like all young players he just needs to continue to improve in all aspects of the game and improve his skills as a ball-handler. He'll have to continue to work on coordination and conditioning and gain more upper body strength. Reminds of Jabari Parker with his advanced offensive game and solid build.